Jesus or Squirrel? : Quorum of the Twelve Apostates? PROVO - About 18,500 issues of the Daily Universe student newspaper at Brigham Young University were pulled from newsstands because a photo caption on the front page misidentified leaders of the Mormon church as apostates instead of apostles. 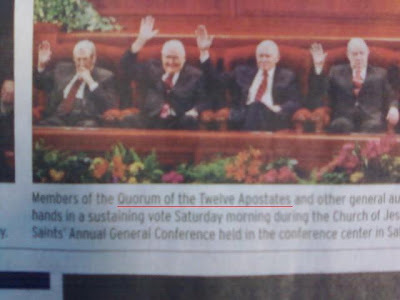 The caption called the group the "Quorum of the Twelve Apostates." The papers were replaced with corrected copies later Monday. University spokeswoman Carri Jenkins says the typo, caused when a copy editor was running spell check, was an honest mistake. 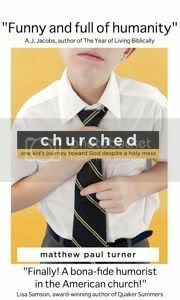 BYU is owned by the church.